Demisch Danant is pleased to present Krijn de Koning's first solo New York exhibition “In Here, for This," April 8- May 14, 2010. 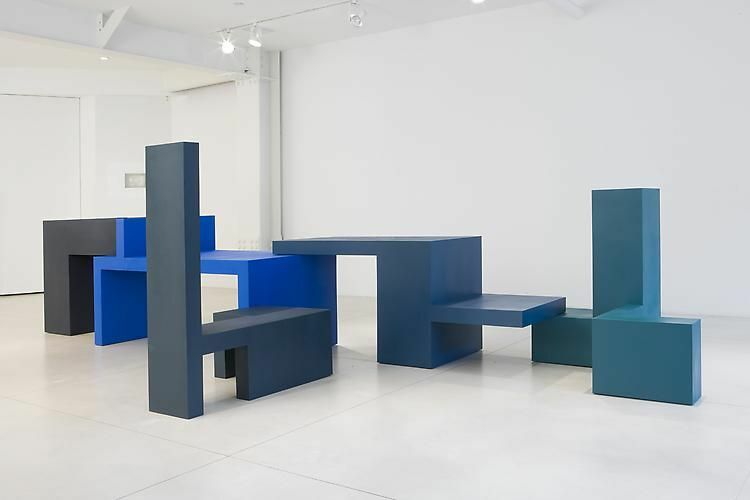 Generally known for architectural sculpture, de Koning shows for the first time sculptural work which can be manipulated to form various functional furniture pieces, like a table with bench or bookcase. The work is comprised of 5 architectural elements that can be stacked or separate and turned on any side. 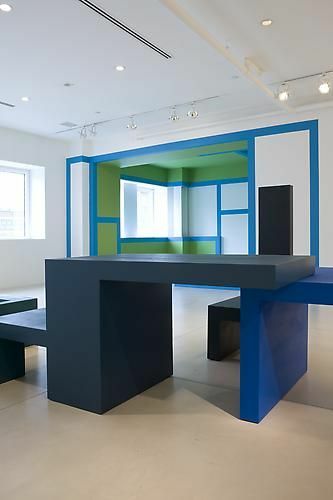 The work directly relates to de Koning work in spatial interventions but introduces a more prominent functional aspect. De Koning also creates a site - specific installation in the gallery, a physical intervention. These works question the specific characteristics of a given location , generating attention and awareness to the beauty, potential and characteristics of the place. 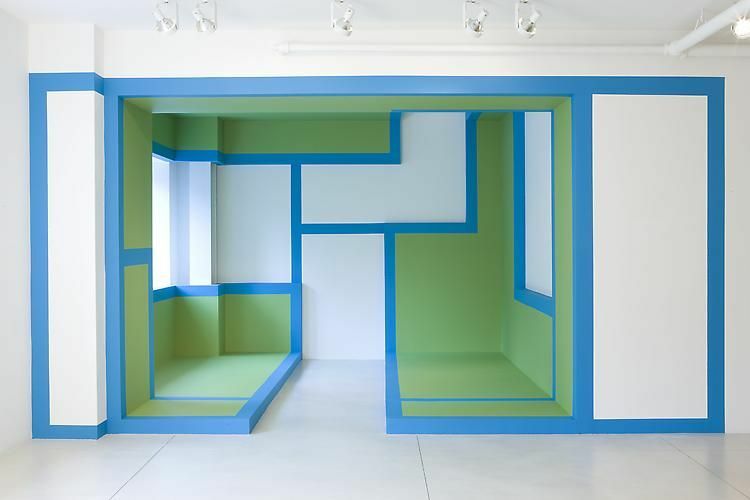 His walls, floors, stairs, doors and windows challenge the audience to re-evaluate their mental and physical experience of the given context; inside becomes outside, downstairs becomes upstairs, accessible becomes inaccessible, and vice versa. De Koning chooses places with a specific cultural context, (museums, galleries, exhibitions and artist-run galleries) or places with a specific architectural and/or landscape context, like buildings and public space. 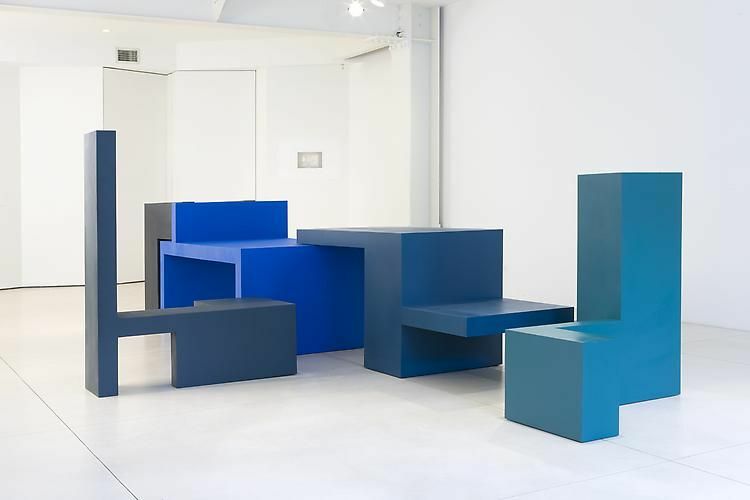 More than spatial interventions alone, these works are homogenous structures that can best be defined as sculpture, but that also incoporate the formal qualities of painting and architecture. De Koning also makes drawings and photographs. Krijn de Koning was born in Amsterdam in 1963 and studied art at the 'Ateliers' (Amsterdam) and the Institut des Hautes Etudes Plastiques (Paris). Recent large-scale projects have been realized in Galerie Serge Leborgne (Paris 2008), Chateaux de Blandy (Seine-et-Marne 2008), Beaufort 03 (exhibition alongside the Belgian coast 2009). His works can be found in several collections, like the Stedelijk Museum Amsterdam, The Boijmans Museum Rotterdam, the FNAC France and multiple private collections. In 2007 de Koning received the 'Sikkensprize' for his work.